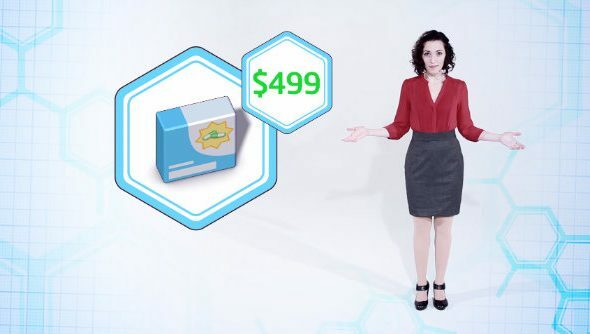 Big Pharma’s Marketing & Malpractice expansion shines a light on the dodgy marketing tactics of the pharmaceutical industry later this month, asking you to make up for the cost of promoting your drugs by resorting to shady tricks. Play our list of PC’s best strategy games while you wait. “Fast acting”, “targets pain at the source”, “extra strength” – you’ve probably seen a variation of these claims on labels of painkillers in every supermarket and pharmacy you’ve been in. These boxes of pills, with their flashy packaging and bumped up prices, are generally as potent as the unbranded painkillers sitting alongside them. Most of us have still been suckered into buying the more expensive ones at one point or another, though, and Big Pharma’s upcoming expansion wants you to make sure more chumps do. You’ll be helped along by your executive, who is described as “the beautiful and persuasive sales force of your pharmaceutical empire”, who can bribe doctors with gifts at the risk of receiving bad publicity, fudge the results of clinical trials, and run disease awareness campaigns to convince the public to self diagnose and buy your product. It’s all very ethically murky, and almost everything you do is at the risk of making things worse or yourself, but you have to speculate to accumulate. Speaking of accumulation, you’ll also be able to manually set the prices of your products, undercutting competitors to force them out of business, pulling aMartin Shkreli and putting a monopoly on an expensive life-saving cure, or straddling a line somewhere in the middle. Your development chain also gets a boost in the expansion, with transferring drugs between buildings now possible, the option to add Booster Effects to your products, and the ability to use Stock Gates to regulate the flow of a substance, manipulating demand. Find out just how evil you are on April 26, when Marketing & Malpractice will be available for $5.99, unless they decide to bump the price up.